﻿ February '19 Delight Box - I AM Co. 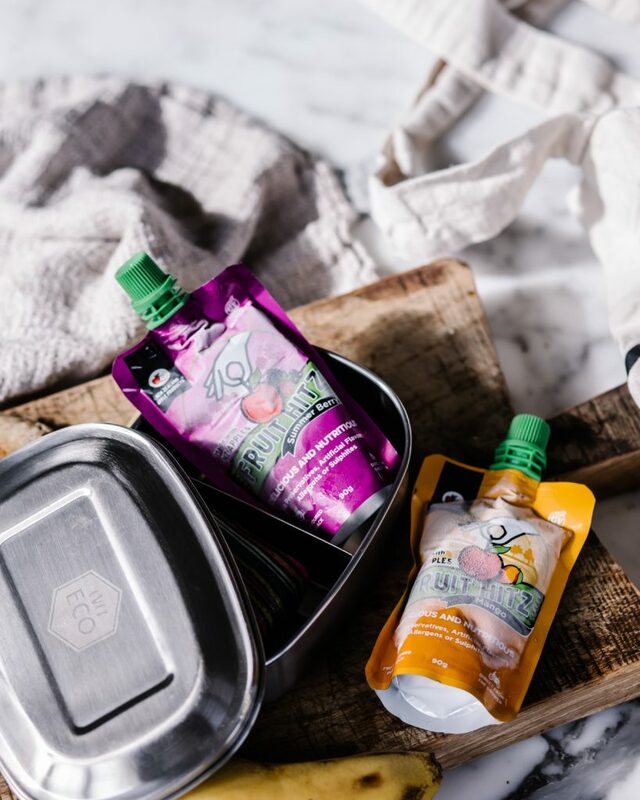 These yummy fruit flavored puree snacks are made with NZ apples combined with tropical flavors, ideal for lunch boxes or as an everyday snack. Store them in the freezer them pop them in with your packed lunch or the kids lunchboxes and they’ll not only keep everything else cool, but be a refreshing snack as well! Best of all they contain no artificial colours or flavors, no preservatives, they’re gluten free and contain no sulphites. For more information on the delicious Fruit Hitz click here. 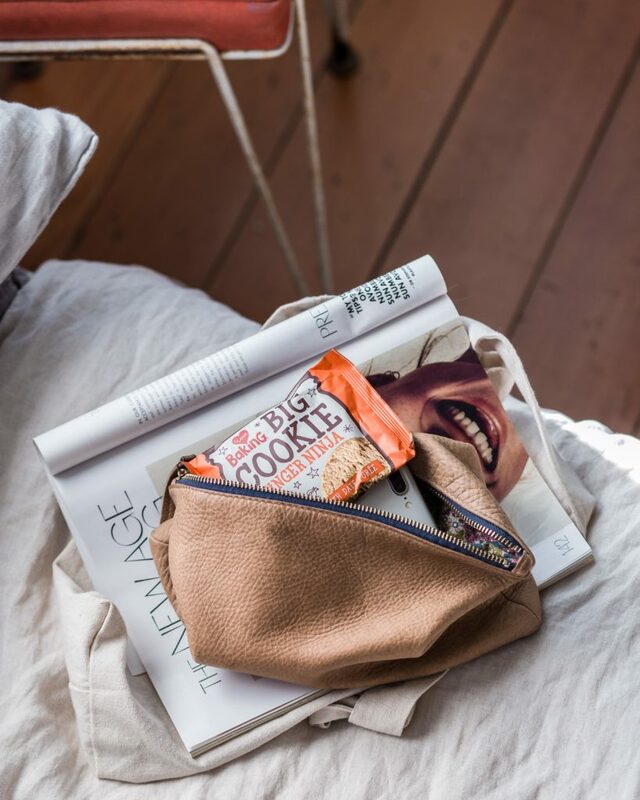 These super addictive brown rice crackers are made using only the finest wholesome ingredients so the Ceres Organics Rice Crackers are made of just that – organically grown, wholegrain jasmine brown rice. MSG, synthetic preservatives, refined sugars & artificial flavours NOT included. Perfect for popping in the lunchbox or just whenever you need a healthy snack to tie you over. For more information on the yummy Ceres Organics Rice Crackers and to shop online click here. 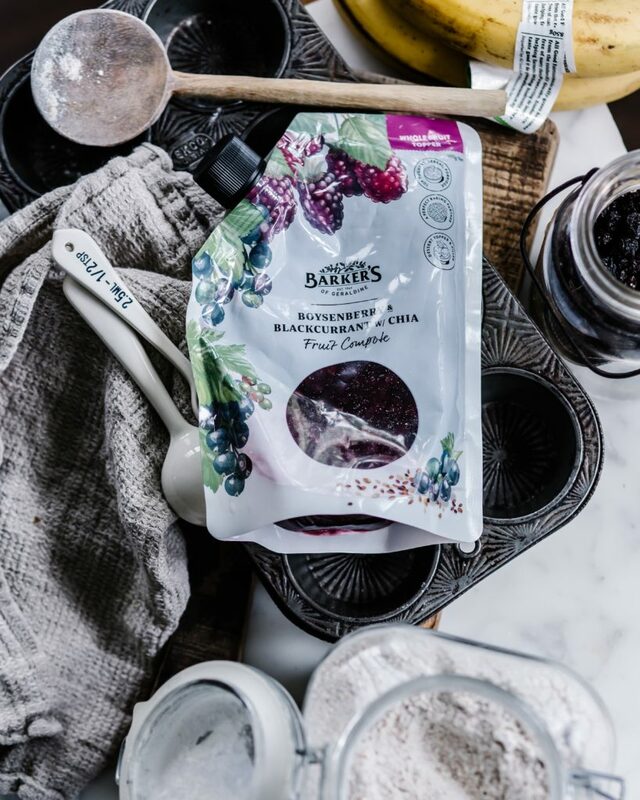 Barker’s of Geraldine have the most amazing range of delicious products. Their fruit compotes are made from carefully selected varietals. They’re perfect to use for breakfasts, baking and desserts with a no mess spout pouch to help keep the kitchen bench clean! You can find their range of compotes in the canned fruit section of your local New World and Pak n Save stores, or the dessert topping aisle of your local Countdown supermarket. Be sure to try out the delicious Vegan Cheesecake Parfait recipe found in the February Delight Box! For more information on the Barker’s of Geraldine product range click here. 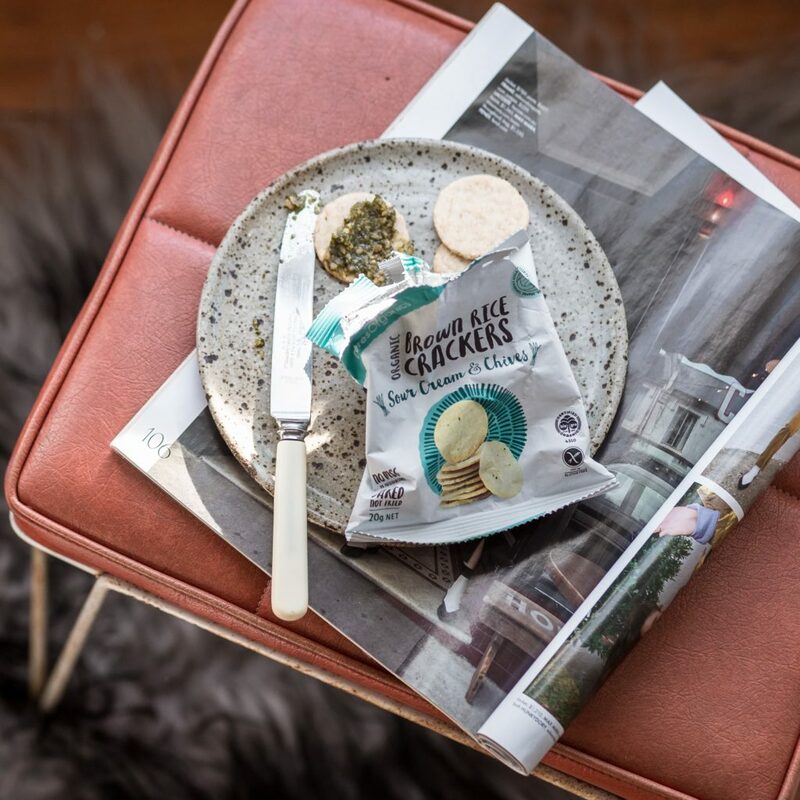 We challenge you to not eat all these delicious Proper Crisps in one sitting!! The Sweet Smoked Paprika flavour is up their as one of our favourites. They’re sweet and smokey, made with the finest matured Spanish bell peppers dried on oak for 18 days – Proper’s 100% natural take on the BBQ flavour. Being 100% natural, gluten free, GMO free, dairy free with no added MSG, why not pop these in the lunchbox for a yummy treat! 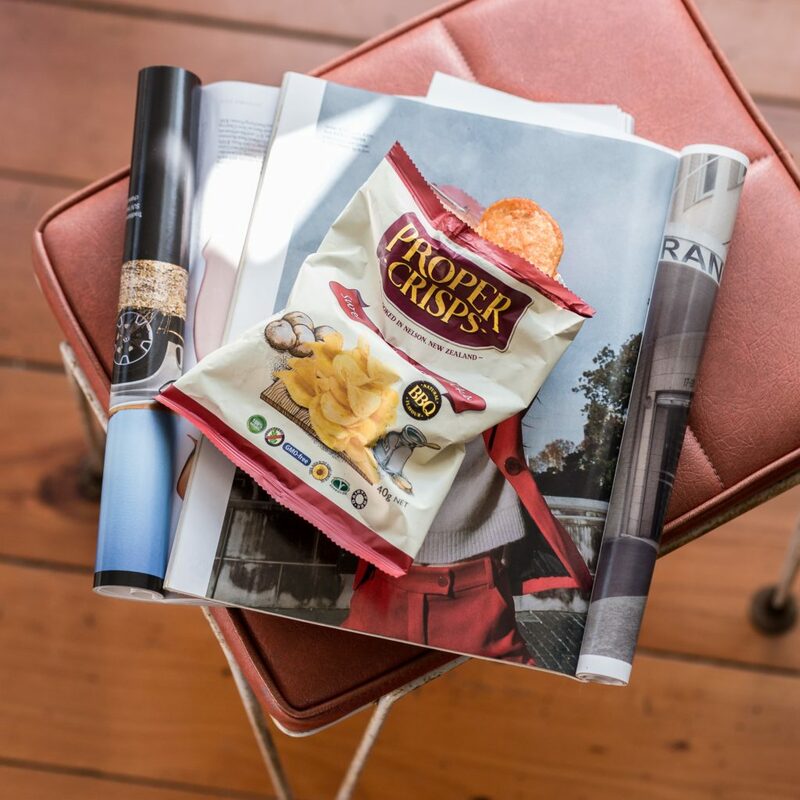 For more information on the awesome range of Proper Crisps products click here. Who can resist a super-delicious cookie!? You won’t want to share this one with your colleagues, neither will the kids with their school friends! 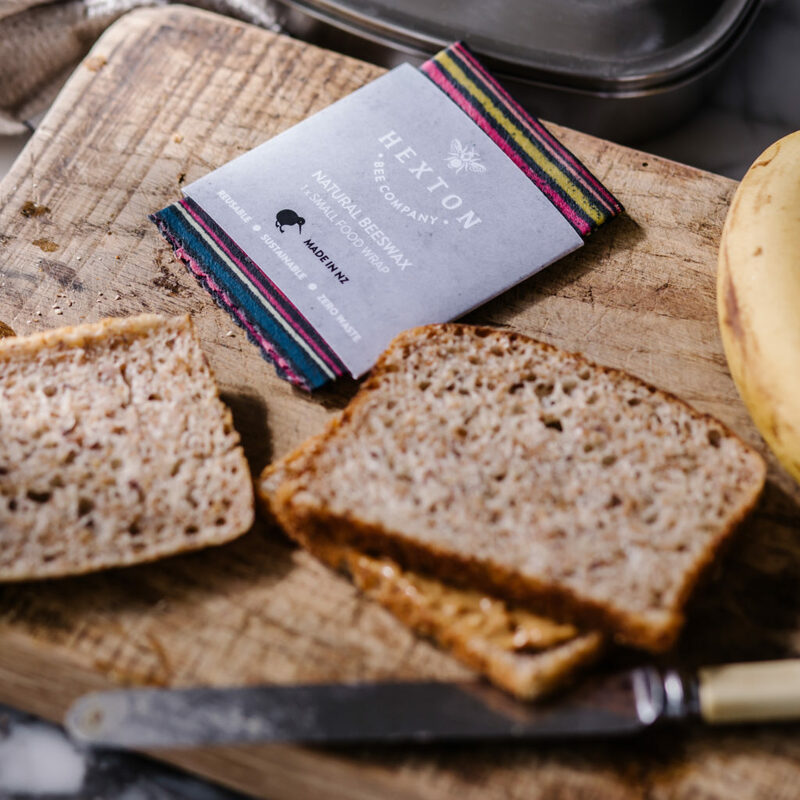 Both flavours are made with butter, unrefined sugar, wholegrain oats and partially sweetened with date puree. Ginger Ninja is delicately spiced with ginger while the Big Coconut Choc Chunk is loaded with coconut and double chocolate – yum!! For more information on the I Love Food Co range of products click here. We know you’re going to just love the beautiful beeswax wrap from Hexton Bee Company. 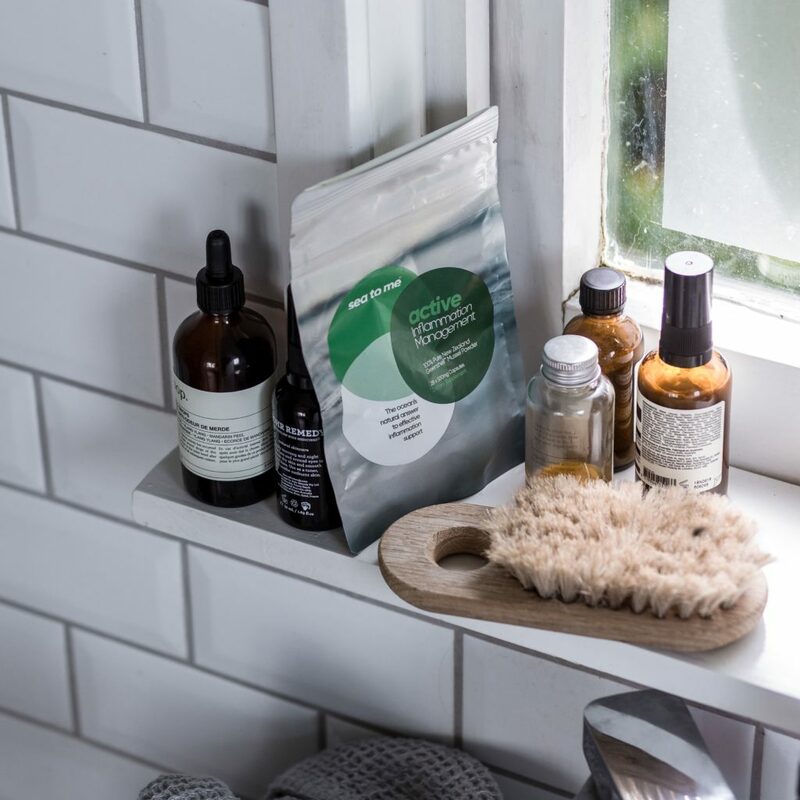 The reusable wrap is the perfect way to start your own revolution against plastic food wrap and will help reduce waste in your home while keeping your food fresh. These are easy and fun for the whole family, (especially the kids!! ), and are great for wrapping lunches, snacks, covering bowls and so much more. For more information on the great range of wraps and to shop online click here. 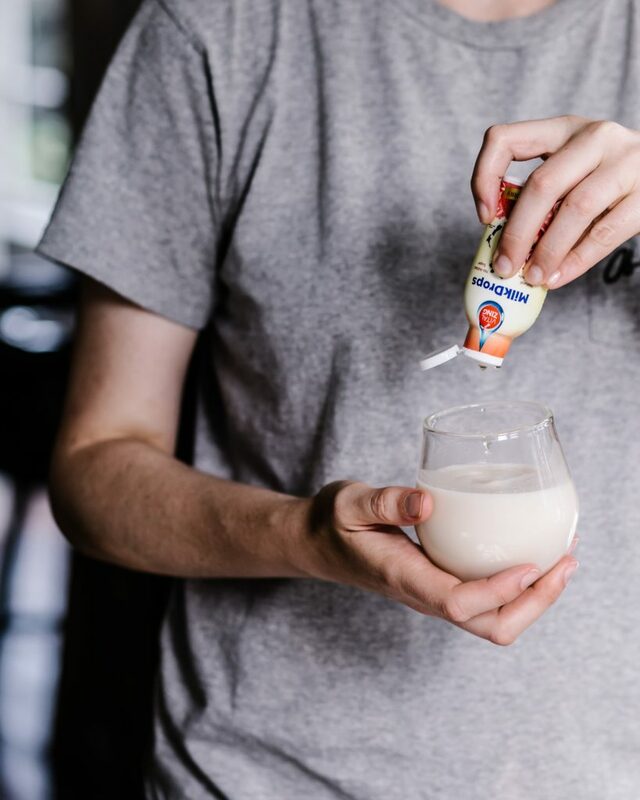 These fantastic MilkDrops are a great way to jazz up whichever type of milk you drink. Each VitalZing MilkDrops container is enough for 40 serves, they have no added sugar, are made with natural ingredients and taste amazing! Use them to make milkshakes or to flavor yoghurt, smoothies and shakes. For more information on the great range of products from VitalZing and to shop online click here. 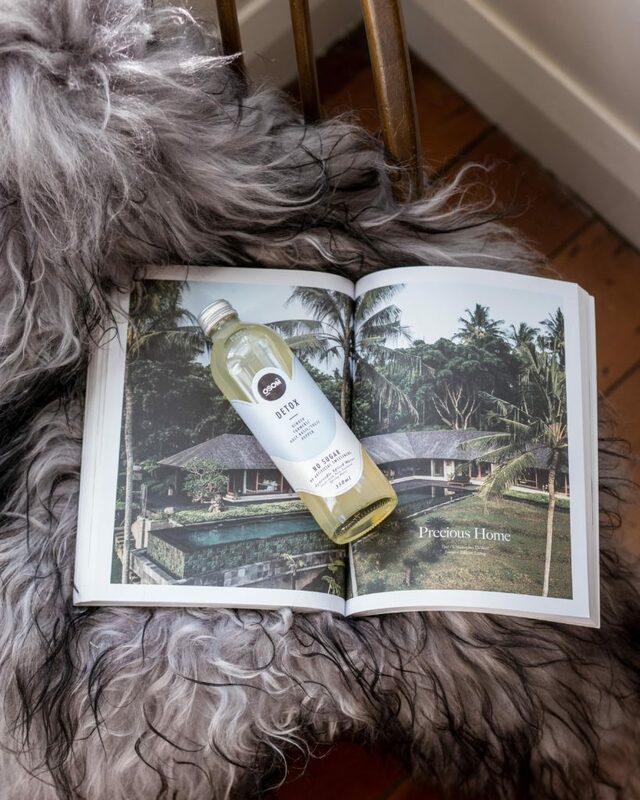 The final flavour in the range from OSOM is ‘Detox’, containing a cleansing mix of ginger, turmeric, holy basil/ tulsi and pepper, it aids in purifying and detoxing the body. The pepper afternote helps stimulate the metabolism, while the ginger adds a warm zesty flavour supporting nausea, loss of appetite and pain. Pop this in the fridge at work to enjoy after a weekend of a little too much indulgence! 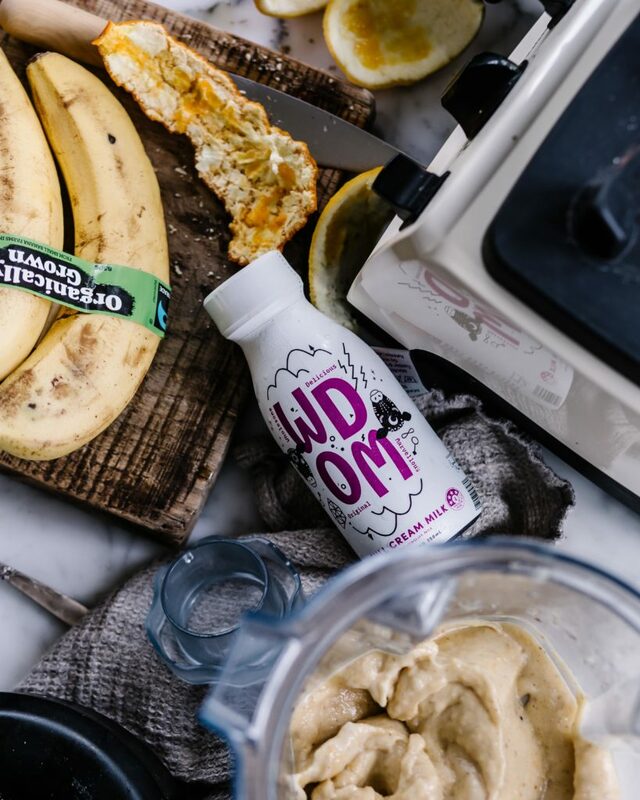 WDOM Full Cream Milk has a flavoursome 4.4% fat, giving it the creamy consistency many people love to use with their morning cereal or hot beverage. It’s full of flavour, full of life, and full of wholesome goodness. This yummy milk is packaged in a very handy size in a PET Bottle with UV Protective shrink wrap, so you can use it on the go, with a screw-cap lid so you don’t have to suffer leaks in your handbag or the kids school bag. Greenshell™ Mussels help thousands of New Zealanders manage inflammation, naturally. For centuries, native New Zealand Greenshell™ Mussels have helped maintain mobility and joint health by supporting the body’s natural ability to manage inflammation. From coast to capsule, Sea To Me™ sustainably cultivates Greenshell™ Mussels in their pristine New Zealand ocean environment before naturally concentrating their goodness to create this premium nutritional supplement. For more information on this fantastic, natural product and to shop online click here.